CloudApp is an easy-to-use screen recorder that brings video, webcam, screenshot annotation, and GIF creation securely to the cloud. It's free to get started, and useful for every industry where speed and clarity are essential. CloudApp is taking digital and visual communication to the next level. Whether you know it yet or not, screen recording and sharing is the quickest and most effective way to communicate between teams and clients, no matter what type of business you’re in. It’s even fun for individual use and communication between friends. Read on to see for yourself why you shouldn’t live without this powerful screen recorder app of the future. In the past, screen recording tools required opening a separate screen that obstructed your view of the window you wanted to capture, dragging and saving as a separate file on your desktop, and waiting for the upload back to whomever you wished to share the content with. How many clicks is that? CloudApp is addressing this antiquated screen capture process by allowing you to learn how to record your screen in two simple steps and zero uploads -- and when you are done with your screen recording, the content is automatically saved to your clipboard and the cloud. It’s a proven fact that video is one of the most engaging forms of content. People demand immediate, easy to comprehend communication and video is one of the simplest ways to get the job done. CloudApp's video recorder feature lets you move beyond still images and record live HD video directly from your screen in order to communicate more efficiently. 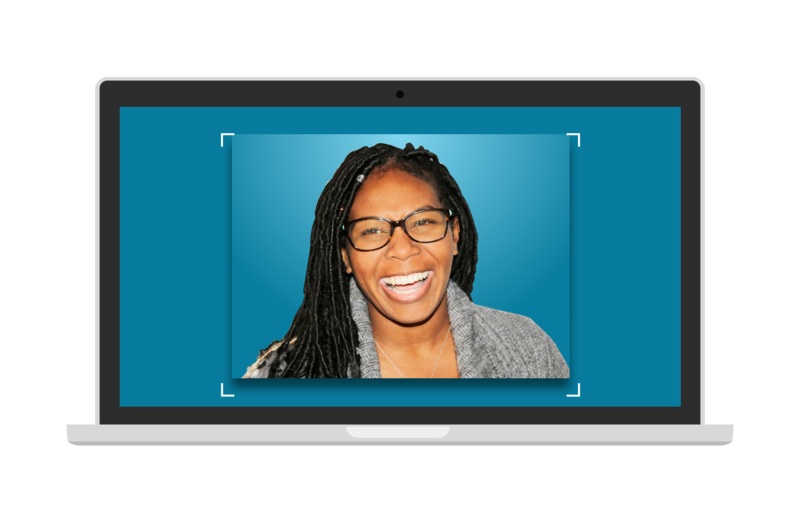 Add even more personality and a level of human touch to your videos by recording your face and voice with CloudApp’s webcam recorder tool. By recording your screen with webcam at the same time, you can more clearly articulate difficult topics, provide instant feedback on projects, and cut down on lengthy emails all together. GIF creation have been one of the biggest digital marketing trends of the past few years and popularity is still rising due to their entertaining and often addicting nature. So, loosen up a bit and explore using GIFs for your personal, client, and team communication. Beyond a good time, GIF screen capture help speed up long emails, feedback loops, instructions, training tutorials and project turnaround time by allowing for a more concise explanation. Did you know you can also edit GIFs? CloudApp's GIF editor simplifies online GIF creation and makes it a breeze to edit and share animated GIFs across multiple platforms. Get your point across even faster by annotating screen recorded images, GIFs and videos with lines, arrows, and emojis. Direct viewers to the most important content on the screen, blur out sensitive information, or add text for additional clarity. But really, what’s faster than saying a project or idea needs more work than with a marked up screenshot or emoji? Drag and Drop Google Images When you’re moving quickly or in a hurry, there’s no time to right click on an internet, save, and upload. CloudApp understands your time is precious and makes it simple for you to drag and drop file upload any image directly from Google and into the CloudApp toolbar where it is easily accessible to anyone on your team. 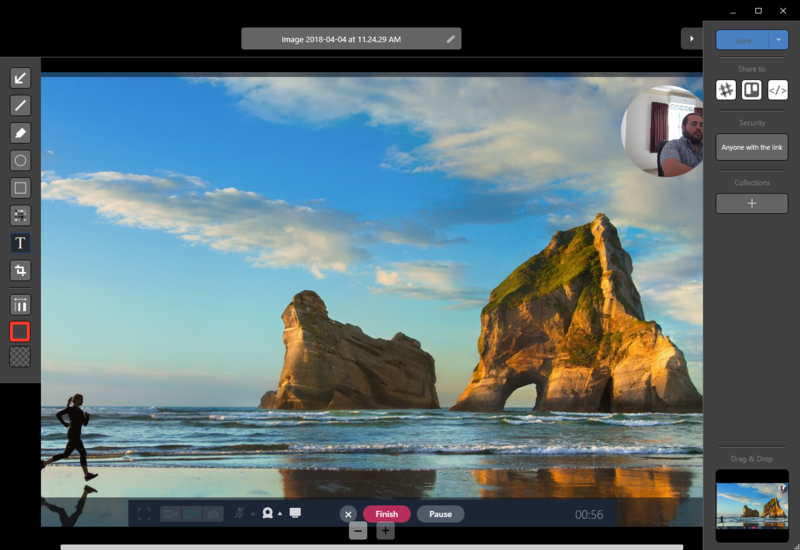 Communication between teams and clients is important but CloudApp also makes it easy to share screen recorded images and video outside of your organization. With CloudApp’s embed tool, we do the coding for you so that you can screen capture, record or upload and share embed content on nearly any common CMS, website platform, or marketing tool. With CloudApp, you can also embed video in email. Don’t be the person who sends over a large file attachment. Enter CloudApp’s drag and drop feature once again! Simply drag and drop your screen recorded video directly into any email. You’ll save time uploading and your recipient will thank you for not putting them through a lengthy download. With CloudApp being an all-in-one screen recorder, and Slack app an essential messaging platform for your whole company, with the CloudApp integration for Slack, teams can communicate visually and be more productive. Add screen recorded video directly to your team’s Trello cards or Asana tasks, annotate and send directly to the platform of your choice without bouncing between apps. Resolve customer support issues with recorded video and share Zendesk screenshots directly through an open Zendesk ticket. Other popular integrations include Atlassian JIRA, Google Docs, Drift, and Intercom. Drive sales by communicating visually with prospects. You need to be able to show leads the value in the product that sits behind your screen and CloudApp gives you the tools to do just that in the blink of an eye. Build sales resilience by using the screen recorder to quickly create personalized sales content, tutorials, demos or even conduct live sales meetings with its webcam recording feature. From a marketing perspective, genuine and engaging content is top of mind and a key driver for brand awareness and retention. CloudApp lets you bring personality to your marketing campaigns with GIF creation and live screen recording. Add visuals and videos to your email campaigns within seconds or use CloudApp’s tools to monitor and revise campaigns within your team on the fly. G2Crowd is currently using CloudApp to drive sales and leads in their sleep with video pitches. Check out this sales enablement video to see how CloudApp can work for similarly for you. Addressing customer support and technical issues over the chatbots, email or even the phone can be painfully complicated and frustrating on both ends. With CloudApp, you can communication more clearly by recording your screen and showing your customer how to resolve their problem directly in Zendesk. Similar to what GainSight and FreshDesk have experienced, CloudApp enables you to quickly close a ticket, and save your customer time - a satisfied customer equates to long term retention. As a designer, visual communication is your world, but it’s often hard to collaborate in real-time. Large file sizes are difficult and time consuming to share. Streamline the design process by using CloudApp to record your screen and share directly with collaborators in near real-time. Record annotations and video while sharing your screen to show more precisely where a design element needs adjusted. Create a case study for your design portfolio that show off your UX potential to clients. Design a user friendly SaaS pricing page and convert more visitors to customers. With the ability to take screen captures, screen record videos and GIFs, adjust colors, fonts and graphics, even the design illiterate have a chance to shine, CloudApp essentially becomes your new design tool. Developers are the brains and the life-center behind your brand or product. When something goes awry, they are the doctors and need to be able to work as quickly as possible to get your service back up and running. Despite the top software testing tools out there, it is often difficult to communicate technical topics between remote engineering teams and non-developers (customer support, product team members, designers) delays the process. Through quick screen recordings, CloudApp opens up the door for your engineering team to more clearly communicate with the outside world to debug technical issues or explain a UI feature by showing instead of telling. Large enterprises need powerful tools to operate efficiently and multiple layers of security to ensure those operations are protected. CloudApp for enterprise prides itself in its expansive analytics and security features that ensure you are able to monitor, analyze and safeguard your communication and data. From detailed tracking history on outgoing content recorded through CloudApp to high-grade protection including two-factor authentication, single sign-on and expirable password protection, CloudApp delivers unprecedented security for even the largest entreprises. As you learned above, the right screen recorder can do so much more for you and your business than simply save a screenshot to your computer. That’s the way of the past, yet companies such as Techsmith, claiming to be top-of-class screen recorders, require downloading and installing 3 of their tools (Snagit, Jing, Screencast) to have all the features that CloudApp comes with in the all-in-one native app. Other tools including Vidyard or Wistia, simply miss out on valuable workflow collaboration tools, analytics to help you grow your business and customization capabilities. Others such as Loom, Soapbox or GoVideo, are limited to Chrome Extensions and serve no further business function or value beyond of a quick video or a screenshot. CloudApp also serves as more than just a DropBox type file storage center. It also won’t cost your five times the amount of money for half the features like a Vidyard or a Droplr that provides little to no creative functions. With CloudApp you can let your creativity flow with video annotation or dual screen and webcam recording. Don’t restrict your creativity or slow down your workflow even more with antiquated screen recording software. It’s time to step into the 21st century and catch up with this on-demand world. Signup for a free CloudApp account and try it for yourself for 14 days and see just how fruitful screen recording can be for your teams and your bottom line. 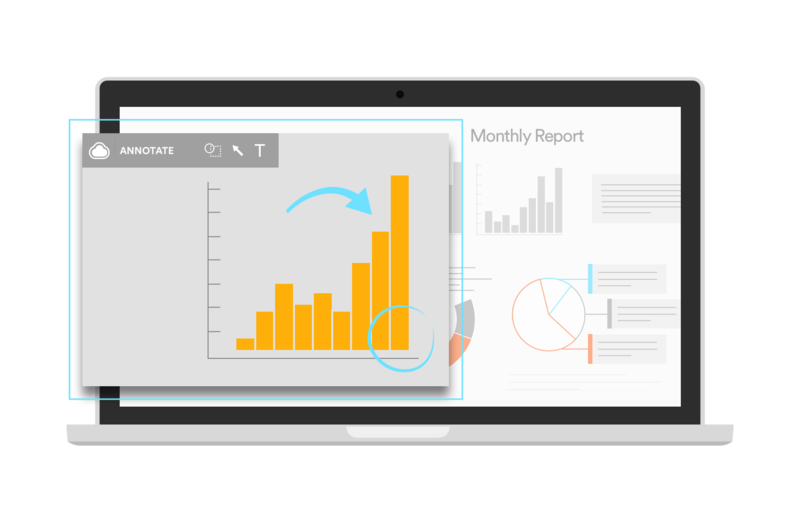 CloudApp is the future of visual communication -- an essential screen recorder for every industry where speed and clarity are essential.